Could an Electric Triumph Make its Triumphant Return? 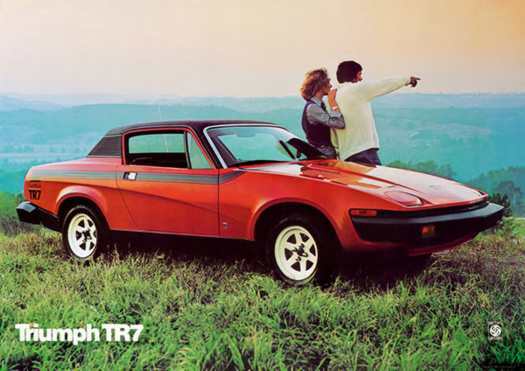 The Triumph TR-7 was an iconic vehicle long lost to the archives of history, though an occasional one can still be spotted on the roadways. The rights to the Triumph name were obtained by BMW in 1995 when it bought the Rover brand. The MINI E electric car field test program run by BMW has allocated about 500 all electric MINI Coopers to willing participants (like this author) throughout the US and Europe. BMW will be using this one-year trial to learn how electric cars fare on the public roads and in the public hands. That information will be used to develop a dedicated all electric car now being referred to as the "Project i" program. BMW has said an all electric car from MINI would be available staring in 2015, but that it might not be a MINI after all. How about an electric Triumph? The car "will be a premium model, says an unnamed MINI spokesperon. "It won’t necessarily be a BMW or a Mini, it could be another brand like Isetta, Wolseley or Triumph."